When it comes to selecting a fence for your home, there are a few things that you will want to prioritize. You want to choose a material that will last, that has visual appeal, and that will be easy for you to maintain. What fencing material combines all of these aspects into one quality product? 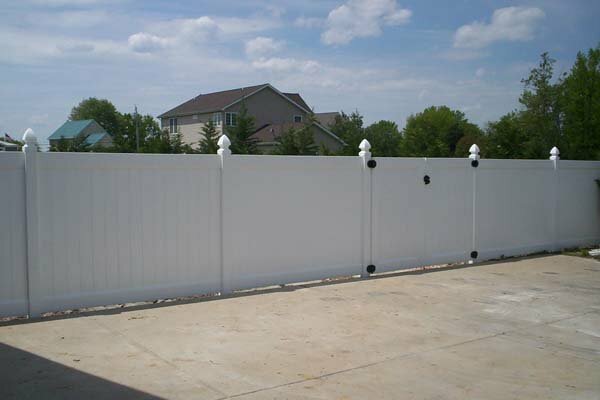 Freedom Fence and Home has the answer for you: vinyl fencing! Vinyl fencing is among one of the strongest fencing materials available to you. It is ideal if you live in an area that routinely experiences harsh weather conditions, such as heavy winds and rain. Vinyl will not be damaged by rain or snowfall, as other fencing materials can be, because it neither rusts nor rots. It is also resistance to bending and warping, so you are guaranteed a fence that keeps its shape and stays upright for years to come. Vinyl fencing is also a virtually maintenance-free fencing material. Unlike other materials, which can require special treatments and regular care to stay looking like new, vinyl fencing can be cleaned with a simple water and bleach solution whenever necessary. Because you do not have to waste time with complicated cleaning procedures, you can devote that time instead to other landscaping projects. Many homeowners opt for vinyl fencing because of its curb appeal. A quality vinyl fence instantly brings value and aesthetic appeal to your home, and it can contribute to your home’s resale value if and when you decide to sell it. For all these reasons and more, consider installing a vinyl fence from Freedom Fence and Home today! With 40 years of experience behind us, Freedom Fence and Home provides the highest quality vinyl fencing installation in the area. Our fencing experts are always on-hand to offer you the best advice on selecting fence designs and materials that are right for your home. We are licensed and insured in the state of Maryland. If you have any questions about the benefits of Vinyl Fencing for your home, please contact Freedom Fence and Home by calling 443-271-6841 or visit our website. You can also follow us on Facebook and Twitter! This entry was posted on Thursday, September 11th, 2014	at 3:23 pm	. Both comments and pings are currently closed.